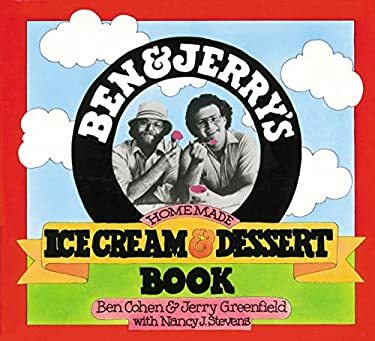 Despite a philosophical disagreement over chunk size-Ben prefers them large and occasional while Jerry favors frequent, somewhat smaller ones-together Ben and Jerry are good friends who make great ice cream. You don't have to be a pro to make incredibly delicious ice cream. There's no such thing as an unredeemingly bad batch of homemade ice cream. How to break Heath Bars into the perfect bite-size chunks. How to add chunks so they don't sink to the bottom. Why you must eat honey-flavored ice cream in one sitting. Ben Cohen has been a Pinkerton Guard, a garbage man, and a short-order cook. He began seriously testing ice-cream flavors at the age of five. Jerry Greenfield has worked as a lab technician. He is glad he was not admitted to medical school. Nancy Stevens is a magazine and newspaper writer who has been published in the Saturday Review, the New York Times, the Village Voice, and Working Woman.